Ask anyone who knows a thing or two about riding and they’ll tell you all of the benefits that carbon fiber bikes or bike accessories can offer. This lightweight material has the unique ability to improve your bike’s function without weighing it down, and this just a couple of the advantages that this superior material has. If you’re looking for a way to increase speeds on your bike and reduce your wind resistance, you probably already know about the wonders of aero bars. These amazing devices attach to your regular road bike and improve your aerodynamics so that you can go faster, race more competitively, and comfortably compete in triathlons. Carbon fiber aero bars are known to be among some of the best, thanks to everything that carbon offers the cyclist. 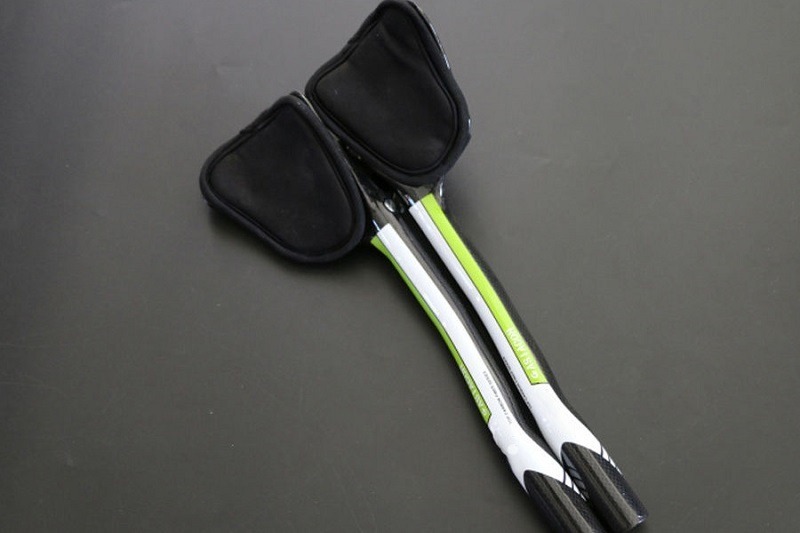 However, traditional carbon aero bars are extremely expensive and well out of the reach of the average rider, and so people usually settle for something made with aluminum. RXL SL has managed to change the bike accessories market, though, offering a quality set of aero bars made from carbon fiber and at just a fraction of a price of the rest. If you’ve been waiting for a chance to equip your bike with lightweight and agile carbon fiber but just couldn’t afford the hefty price tag, this is the product for you. RXL SL prides themselves on being leaders in the bike accessories world, with a keen focus on making quality but affordable carbon fiber products. They understand how efficient this material is for riders and like to incorporate it in most things they make including aero bars, saddles, stems, forks, and frames. The RXL SL Carbon Fiber Aero bars are an affordable way to try out the miracle of carbon fiber for yourself, and if you’ve never used this material on your bike you’ll be amazed at just how lightweight it is. 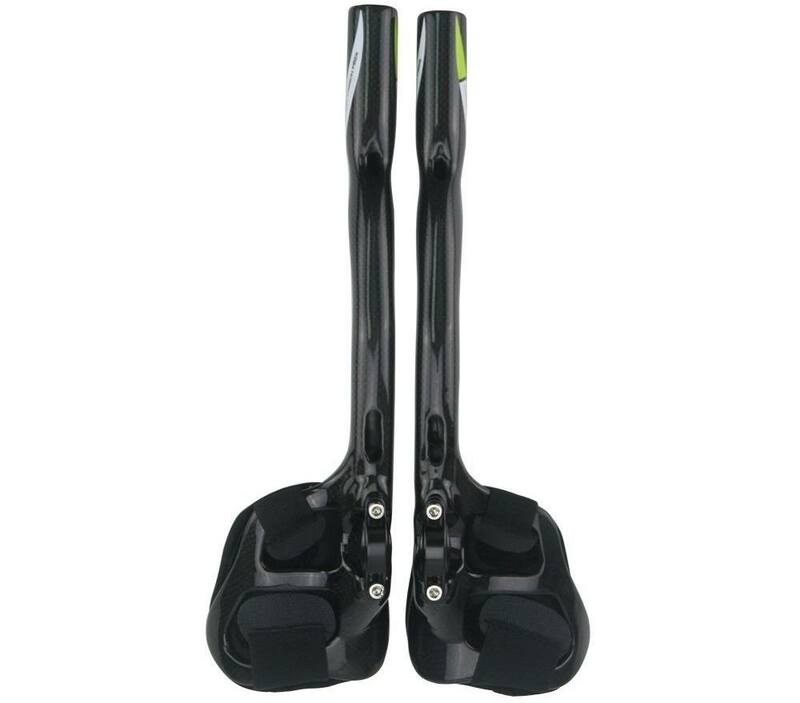 These aero bars weigh around 275 grams which makes them half the weight of aluminum bars, which can improve your aerodynamics even further. ​These are the ideal aero bars for anyone who wants to get faster speeds without bulking their bike too much with accessories and add-ons. Thanks to the low cost offered by RXL SL on all of their products, you don’t need to be a professional athlete just to afford them. 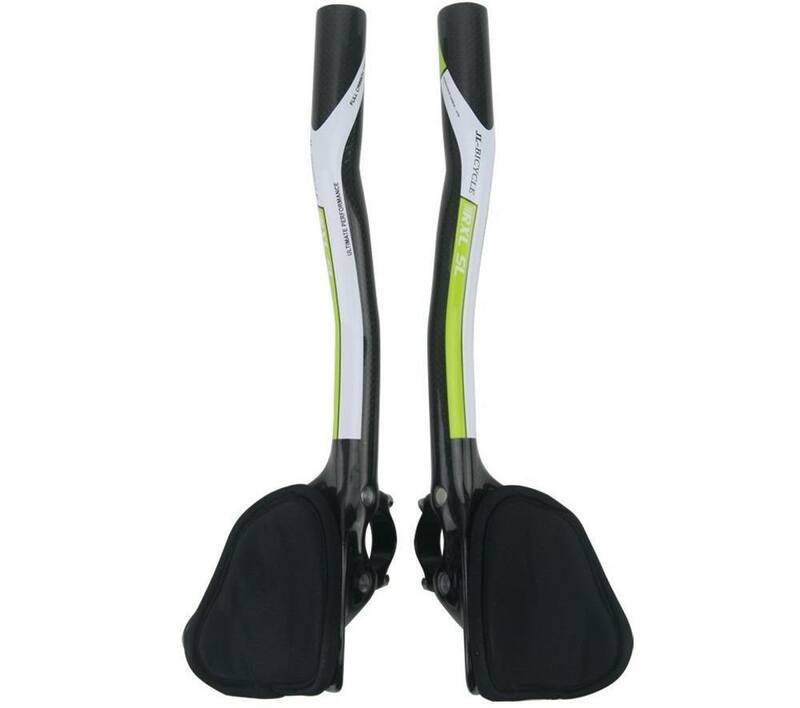 If you’re looking for an entry-level pair of aero bars and want nothing but carbon fiber, there’s no way you can pass up the low price of these. They’re lightweight and easy to assemble so even if you’ve never used aero bars before you’ll have no problems with the setup stage. With the low price of these carbon fiber aero bars you have to expect a few things that might need improving. The only real complaint that the online reviews seem to mention is about the arm pads being a little less than comfortable when you’re riding for long distances, so if you’re buying these for a triathlon or planning on riding over an hour at a time with them, you might want to reconsider. Some people have mentioned replacing the pads or having new ones made to fit, and even doing this with the low price of the bars themselves you’ll still be saving yourself some money. However, it can be added effort that you just don’t have time for, so consider how badly you need to save the extra cash. 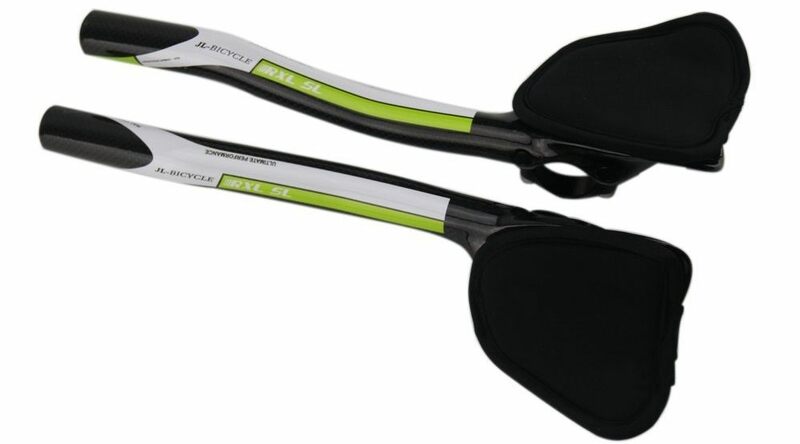 To get yourself the lowest price on the RXL SL Aero bars you’ll need to head to Amazon for a deal, as the beloved online marketplace lists them for just over $40.They have an additional promotion going where you’ll receive 5% off thanks to a special online coupon, so if you’re ready to buy them today you can benefit from this extra saving. 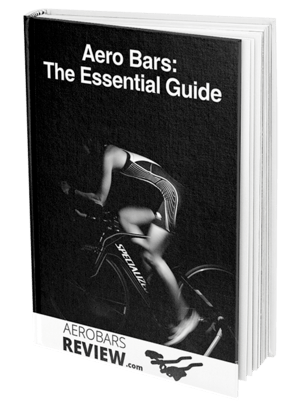 Amazon also ships most of their products for free and these aero bars are no exception, so you can save even further from additional freight costs. If you’re a member of their Amazon Prime program that free shipping extends even further to an express option which means within 48 hours you’ll be attaching your RXL SL bars to your bike. RXL SL offers a 12-month warranty on these aero bars so you’re covered for any defects or faults that occur, and for the low price, this is a comforting guarantee to have. However, some of the customers have stated that it can be hard to reach their customer service team so hopefully, there’s never a need to try and contact them. When you want to get yourself carbon fiber bike parts but don’t want to settle for an inferior brand, the RXL SL Carbon Fiber Aero bars are a smart choice. This affordable option is the perfect way to test out aero bars for yourself and with some minor additions, they can be just as good as brands that are ten times the price. Aero bars have been proven to improve your aerodynamics and whether you’re training for a triathlon or just looking to beat your own personal best, you’ll be amazed at how they can help. To get yourself a pair of carbon fiber aero bars for a fraction of a price, purchase the RSL XL bars here.